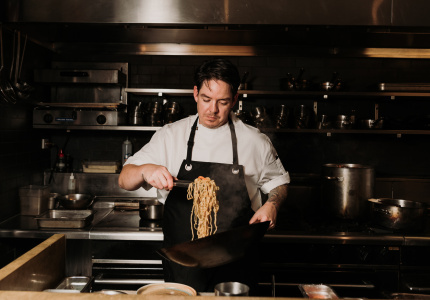 Nick Stone wants to be Australia’s leading hospitality export in the United States. And with a recent major investment by the same firm that helped expand the Momofuko brand, he’s getting closer. When Nick Stone opened his first Bluestone Lane coffee shop in Greenwich Village five years ago, he’d never worked with coffee, or in hospitality in any form. This was July 2013, three years after moving to New York from Melbourne for business school. By the end of 2016, the ANZ banker had opened 12 locations around the United States. A year later, the Bluestone empire included 11 coffee shops, six cafes and, significantly, a new state-of-the-art roastery in the DUMBO neighbourhood of Brooklyn. Which is where we met in July last year, as Bluestone approached its fourth birthday. The roastery, encased in soaring glass walls, occupies 10,000 square feet of real estate under the Manhattan Bridge. It doubles as a staff training and accreditation lab, Bluestone’s product warehouse, and the headquarters for Husk Bakeshop, a Bluestone Lane-affiliated gluten-free bakery. A staff member hands Stone an avocado smash as we walk through an industrial-sized freight room. “The number one rule is, it’s not guac,” the person says. “But if it’s too chunky, it’ll go brown too fast!” someone else calls out from the test kitchen. 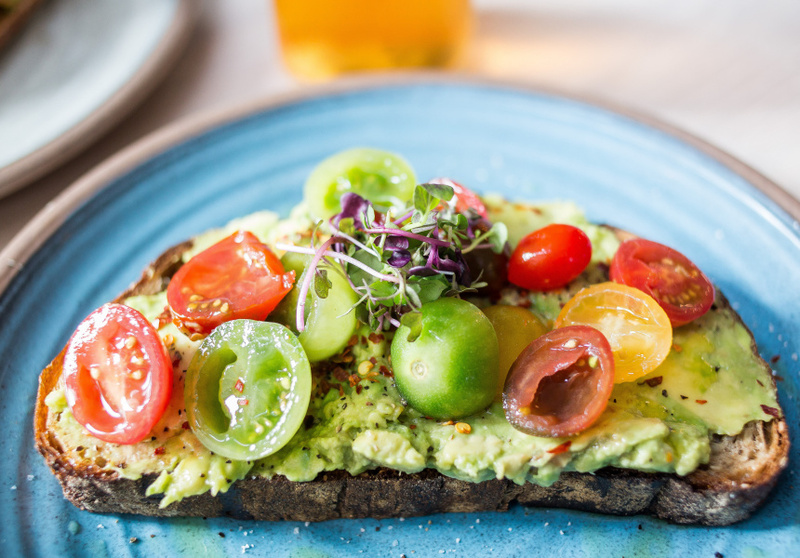 Bluestone certainly wasn’t the first to bring Australian coffee culture, and its requisite avocado toast, to New York. But it has managed to turn the concept into a business worth tens of millions of dollars, and growing. Bluestone Lane doesn’t sell caffeine. Like so many of Australia’s most successful cafes, it sells a lifestyle – a ritual. For Stone, that’s why his business – and others like his, albeit smaller – has seen such success in New York. His cafes “facilitate a genuine daily escape” for customers through considered spaces, pretty dishes, high-quality coffee and Australian-style customer service: laid-back, friendly and thoughtful. 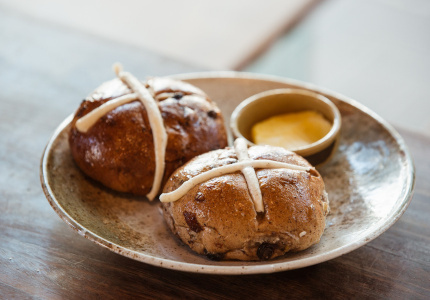 Bluestone’s scale is the main thing separating it from the glut of other Australian-style coffee and cafe projects in New York, and around America. 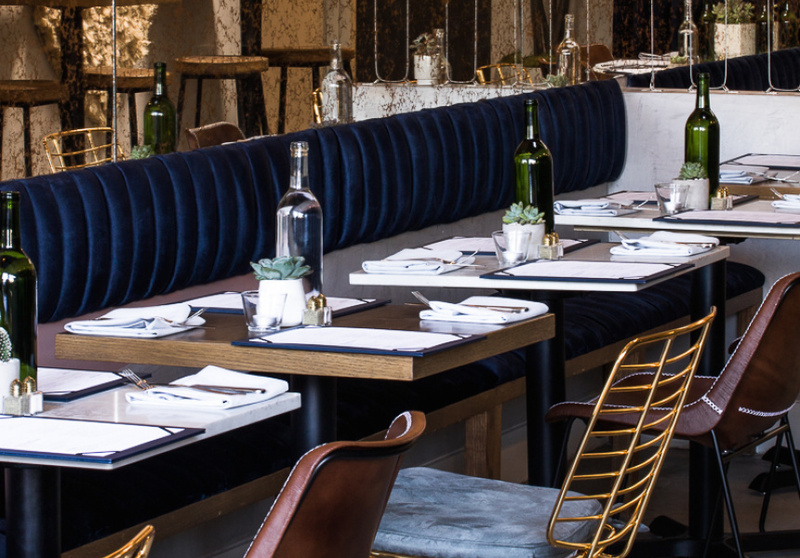 The business now consists of nine cafes and 21 coffee shops – cafes are larger than the shops, with table service and a more comprehensive menu – as well as a growing consumer packaged goods offering sold out of Bluestone locations. “It's really important we control that value chain,” Stone says. What he means is that everything sold in a Bluestone Lane retail location is designed and created by Bluestone Lane. All third-party products are being removed from the stores so that Stone has “certainty on product”. It also means the business can target consumers beyond its cafes and coffee shops. 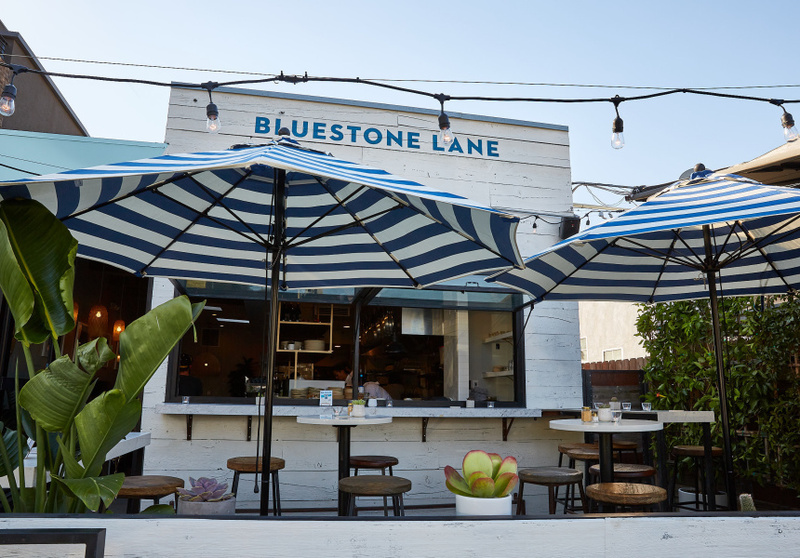 Bluestone has sold coffee wholesale since May 2017, for example, and has its own juice line. Both products are sold through American supermarket chain Wholefoods. “We are exporting Australian premium coffee culture and lifestyle,” Stone says. “Consumer packaged goods allows us to achieve that at a faster rate with much broader scale." Stone knows the Australian-coffee-lifestyle concept is not a new idea, but in America “the pie is so big” he’s not worried about oversaturation. He points to investments upwards of $100 million at upmarket coffee franchises such as Stumptown, Blue Bottle and La Colombe. And Bluestone’s slice is growing. It has 30 locations currently spread across New York, San Francisco, Los Angeles, Washington D.C., Philadelphia and New Jersey. 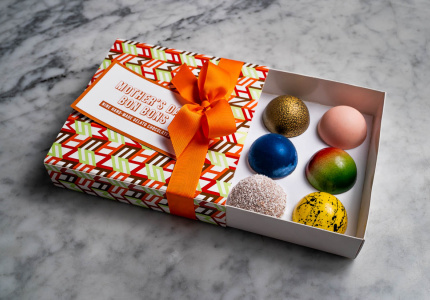 That expansion is also about to accelerate; in July, Bluestone announced it had received financial backing from RSE Ventures, the same fund that invested in David Chang’s Momofuku restaurant empire and related Milk Bar dessert shops. RSE will help Bluestone grow to 60 stores across 10 cities, and expand its consumer packaged goods and lifestyle business. It’s a pretty big endorsement when the same firm that backed David Chang wants a piece of you, too. And here’s what RSE finds so appealing: Bluestone Lane doubled revenue to AUD$10 million in 2016, and to more than AUD$20 million in 2017. Stone is confident of increasing that figure again this year with a target of more than AUD$30 million, and the addition of new locations in Texas, Tennessee and Illinois. The aim is to expand to 35 to 45 locations in 2018 and 2019. Bluestone’s model is a simple one – for every cafe it opens, it rolls out three to four coffee shops. Coffee shops are easier; cafes create more buzz. Stone estimates half of their sales come from the weekend, when the larger, busier locations can bring in between $5000 and $10,000 in a day. Weekdays are slower, and accounting for fluctuating supplies is another challenge. Even before the investment from RSE Ventures, Bluestone was held up as a trophy Australian business that’s made it big in the US, so much so that Malcolm Turnbull visited the cafe when he was in New York, and Tourism Australia has ensured its appearance in a number of campaigns. Stone, as CEO, emphasises the business’s reliance on key staff for that success, and Bluestone has made moving experienced Australian hospitality workers to the US a major priority for the business. “You need incredible execution, capability and discipline around financial structures,” he adds. America’s west coast is Bluestone’s primary target right now. Stone and his team opened six stores in Los Angeles and San Francisco in the past year, with another two scheduled for 2018. One of those will be Bluestone’s West Hollywood flagship. Located in a former florist, it’s called the Flower Café, and its facade will feature a mural of Australian native flowers by an Australian artist. New York’s extreme seasons have been one of the business’s biggest challenges. “I never appreciated that enough in the early years,” Stone says. Bad weather or a long winter can mean revenue swings of up to 40 per cent. But when the sun is out, people flock. At Bluestone’s Greenwich Avenue flagship, enthusiastic brunchers queue with their dogs for outside tables when it’s warm enough. The West Village cafe is kitted out with folding, white-wood furniture, navy awnings and Aussie staff with accents from home. 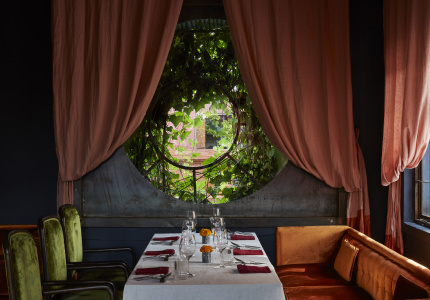 Like the cafes themselves – the glossier DUMBO location, for example, features flamingo wallpaper and marble tabletops – Bluestone’s dishes are light, bright, and also somehow make you think of designer yoga pants. “We were the first to introduce beet lattes here, and golden lattes,” Stone says. “We take a lot of care in how the food looks. And so we should. Fine dining has been doing this forever. With additional reporting by Katya Wachtel.